Come join in this unique and exclusive opportunity to participate in the Autumn Mountain Retreat 2019 with Kwan Sai Hung (The Wandering Taoist). This weekend Retreat is being held at The Valley Inn, quaint lodging in the midst of the beautiful White Mountains of Waterville Valley, NH. Featured: Instruction in a rare and treasured Qigong Set, The Five Venoms Snake Sword Form. Mr. Kwan has said he will take this opportunity to pass this Art on and preserve this particular Qigong Form for future generations. Qigong foundational training will also be a focus at this Retreat. Qigong is a precursor to the practice of the Chinese Martial Arts, as well as, beneficial to heighten an individual's energy level. According to Mr. Kwan, this training is "a way to develop your Qi (Energy) and help pierce through the meridians (the body's energy pathways), releasing any blockages that may be in the body". It is a form of "Meditation In Motion". Two old sayings in Chinese Martial Arts are: "Externally, train tendon, bones and skin; and Internally, train one mouthful of Qi (Energy)". This means, whether you are practicing Internal or External Art, if you want maximum power and energy, and training that leads to your longevity in practice, you have to train Qigong. It is also said: "Train Quan (Fist) and not Gong (Qigong), when you get old, all emptiness". This means if you emphasize only Forms and Fighting, and don't train in Qigong, then when you get old, you will have nothing. This Retreat will be beneficial to the Martial Artist, as once there is an understanding of the health and healing aspects of Qigong, then one can go on to the practice of Martial Qigong to develop "Fa Jin" (penetrating power) in both Forms and Fighting. This special time with Mr. Kwan is not just for the Martial Artist. It is also ideal for people who are interested in longevity, healing and wellness. Ideally, you will come away from this Retreat with the tools to develop a personal practice that will calm the mind and heart, increase flexibility in the tendons and muscles, and develop the body's energy to an optimum level. Everyone is welcome at this Retreat, beginners and advanced practitioners, teens to senior citizens. Please register early as space is extremely limited at The Valley Inn. Participant's Fee: This is an all-inclusive event. The fee includes, tuition, 2 nights lodging, meals (including Chinese banquet), Complimentary Roundtrip Shuttle (see below), Commemorative Tee Shirt and Participation Certificate. The cost is $655.00 Double Occupancy. Single Occupancy is $815.00. To pay for attendance- see Payment button below. Location: The Autumn Mountain Retreat will be held during the beautiful Fall foliage season in Waterville Valley Resort, New Hampsire. Waterville Valley is considered one of the most unique destination Resorts in New England. This makes it a wonderful setting for our weekend Retreat. 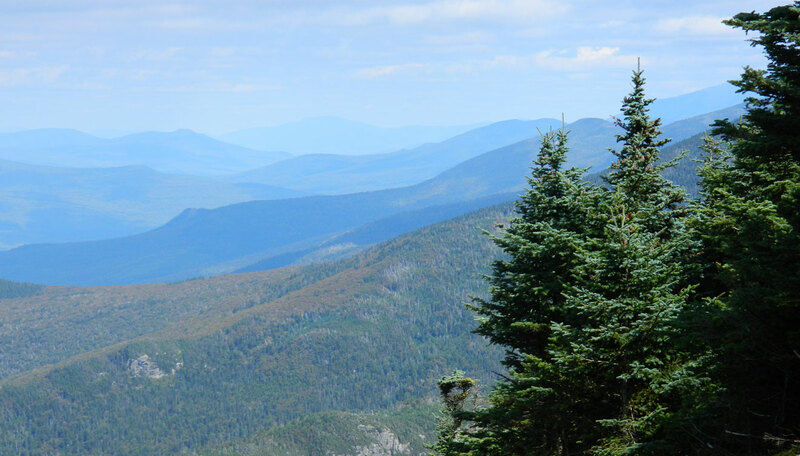 It is cupped by 4000ft peaks and totally encircled by the White Mountain National Forest. This internationally known destination is famous as the site of World Cup Skiing. In this self-contained village, everything is within walking distance or a free shuttle ride. There are tennis courts, a golf course , a sports center, mountain bike and horse back riding, swimming and boating and a picturesque Town Square that offers an array of shopping, dining and entertainment choices. Lodging: The Valley Inn. This Inn is ideally located near the Village Center of Waterville Valley, an easy stroll to shopping and dining. The Valley Inn combines luxury, comfort and relaxation with boundless opportunities for indoor and outdoor recreation every month of the year. A free shuttle bus offers convenient connections throughout the Village. Accomodation consists of a 352sq ft. Standard Room featuring two queen beds, full bathroom with a whirlpool - jetted tub and in some units, a kitchenette. Additional amenities include air conditioning/heating, alarm clock, cable/satellite TV, refrigerator and telephone. Check out picture gallery below. Meals: The Group meals for the Retreat are served as a buffet. This includes dinner on Friday night, breakfast and lunch on Saturday, plus breakfast and lunch on Sunday. Also included will be a morning and afternoon break on Saturday. Breakfast has yogurt, fruit, cold cereal, Belgium waffles, muffins, bagels, eggs, juices, etc. For lunch, there will be hot soup, two salads, deli meats and cheese, breads, cookies and bars. For dinner, there will be two entrees, with rice or potato, veggies, salad, rolls, and a dessert table. Iced tea and lemonade at lunch and dinner. On Saturday evening we will travel together as a group 30 minutes north to Woodstock, New Hampshire, for a traditional Chinese banquet at a local Chinese restaurant. Complimentary Roundtrip Shuttle Service: There will be a complimentery roundtrip shuttle service from Boston, MA (Logan Int'l Airport/South Station, Boston) to the Valley Inn, a 2 1/2 hour drive to Retreat location. This is limited availability, first come first serve, please call for specifics. Upon Arrival: Students will be requested to sign registration and liability waiver form. This must be signed in order to participate at the Retreat. Important ! Please Note: This event has to have a minimum of 12 students, otherwise it will have to be cancelled by July 5th, 2019. If event is cancelled, refunds for participant's fee only will be given. After payment, please contact Meridyth Rancourt to confirm registration. Thank you. The Spring Workshop was a great success! Everyone had an inspiring learning experience with Mr. Kwan, who taught the original medical Qigong set,The Five Animals of Hua-tuo. Thank You to all the students who attended and a great Thank You to Mr. Kwan.